The Future of Uber: What’s Next? You are here: American University Kogod School of Business News The Future of Uber: What’s Next? After Uber CEO Travis Kalanick resigned last week due to some serious legal scandals, the company (and its customers) were left with some big questions. How could the company successfully move forward with its damaged reputation? How involved would Kalanick stay with the company? And, most importantly, who would step up to lead? We asked a Kogod expert for some answers. 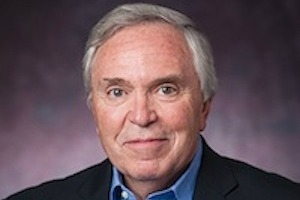 Bill Bellows (pictured above) is co-director of American University's Entrepreneurship Incubator, a university-wide initiative that helps students and alumni build entrepreneurial ventures. He's served as Partner at OneWhitePixel, a tech company that creates mobile apps for Apple, Android and mobile web; COO of Veritect; and Chief Marketing officer of both Red Creek Communications and Simplexity.com. Uber grew to a valuation of about $70 billion from its founder's vision, passion and willingness to take on entrenched local taxicab monopolies and the municipal bodies that defended them. But without the personal maturity to transition from an aggressive, hard charging startup culture to a global business with mature business practices, the approach that built Uber became a threat to its success. No reasonable investor could look aside as the recent string of issues grew from increased tension with its network of two million drivers to accusations ranging from sexual harassment of an employee to an intellectual property lawsuit and attempts to by-pass law enforcement using its "Greyball" tool. While a successful growth-at-all-costs attitude pleases investors while a company rises from startup obscurity, once the company's value starts to become compelling, a steadier approach is required. With an estimated $14 billion invested in Uber, the board needs to right the ship with a strong, respected management team to prepare for an eventual initial public offering. That begins by replacing Kalanick. • The culture is damaged. After a scathing investigation by former U.S. Attorney General Eric Holder, more than 20 people have been fired, including Eric Alexander, the former president of Asia Pacific business. Another 100 people are under investigation. A win-at-all-costs culture has fostered what The New York Times called " a Hobbesian environment" at the company, where workers are put in situations to compete against each other. This is added to allegations of sexism by a former employee, other charges of workplace harassment by managers, continuous tension between the company and its drivers and now the absence of senior leadership. • There are key seats to be filled for a CFO and COO. It is hard to imagine a company of Uber's size, importance and growth, functioning since 2015 without a CFO and without even having the position of COO until it was recently created. Those openings might seem favorable to a new CEO interested in bringing in their own team, but these positions usually carry with them deep institutional knowledge of the business that are vital to a new chief executive's transition. • The board of directors is in need of repair. Bill Gurley, a respected partner at Benchmark Capital, resigned after leading the charge for Kalanick's dismissal, which caused disagreement and tension among the board. Gurley was once a strong supporter of Kalanick. And Peter Bonderman, who became a board member when his firm, TPG Capital, invested in Uber, left the board after making a sexist remark at a staff meeting. Both have been replaced by other members of their firms and Arianna Huffington has emerged as a calming voice of the board, so this challenge may have settled down - for now. But Kalanick will remain on the board. Is there a leader who can assume responsibility for those immediate needs and continue to build the company? As we look across the range of candidates, one name stands out. Sheryl Sandberg, Facebook's highly regarded Chief Operating Officer, has the reputation and experience to provide the adult supervision Uber needs to get on track. Sandberg has overseen sales, marketing, business development, human resources, public policy and communications throughout most of Facebook's own mercurial growth, and she is reported to have been the executive who pushed Facebook toward its IPO. While she seems an ideal candidate, it is hard to see how Sandberg would accept the position given how integral her role is at Facebook. Other candidates rumored to be under consideration include Tom Staggs, former COO at Disney who left when the board didn't assure him that he will succeed Bob Iger as chairman-CEO next year; Marissa Mayer, who recently left Yahoo's CEO position after Verizon completed its acquisition of the company and Helena Foulkes, Executive Vice President of CVS Health and President of CVS Pharmacy. Certainly, Kalanick's replacement faces enormous challenges. The Uber ship is taking on water and there are a lot of holes to be filled quickly. Turning around a successful company is the stuff legends are made of. Lou Gerstner at IBM and Steve Jobs, when he returned to Apple, were seen as saviors of companies who may have been in far worse shape than Uber is today. Taking a company public and developing a track record of success with Wall Street is an opportunity rarely afforded to a CEO. It also offers an infusion of capital and greater oversight from outside the company - that oversight is not the most desired aspect of many CEOs, but in this case it might prove to be an asset by providing outside support for change. The future is promising. It will not be painless, but the next CEO has the opportunity to continue Uber's march toward leading the way in autonomous vehicles. It's early tests in Pittsburgh - though typically filled with Uber-like contention - and the successful test of a driverless truck from its Otto subsidiary are just two early indicators that put the company ahead of its competitors in both the technology and automotive industries. But the path toward a driverless world is a direct affront to its drivers who are still the face of the company to most of Uber's customers. Just one more thing for the next CEO to consider.